16 medals - 8 gold, 3 silver, 5 bronze. 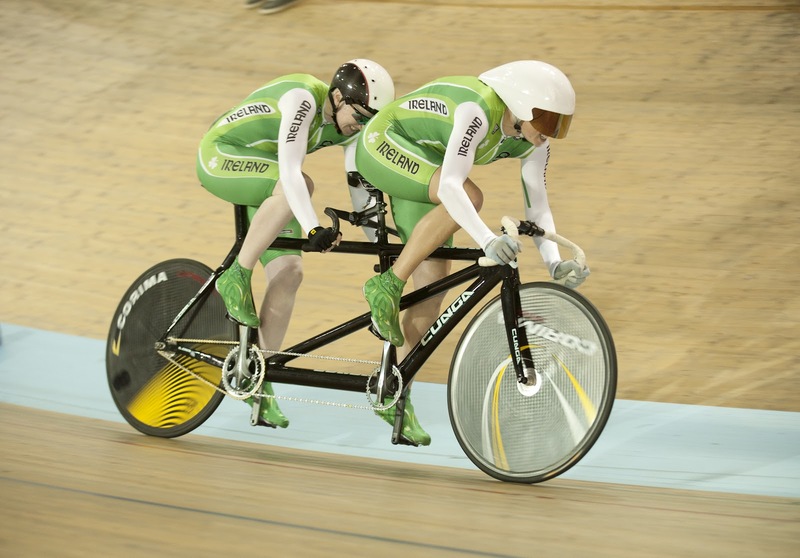 * The team consisted of 49 athletes from ten sports - the largest Irish team since Atlanta 1996 - and set three world, seven Paralympic and 17 Irish records, as well as making 18 finals and setting 20 personal bests. Gold: men's T13 100m T13: Jason Smyth 10.46; 200m Smyth 21.05. Men’s T37 800m: Michael McKillop 1.57.22; 1500m McKillop 4:08.11. Bronze: women’s visually impaired individual time trial B: Walsh/Meehan 35:29.56. Bronze: individual freestyle test Grade 1a: Kearney 78.450. Mixed team event - Ireland (Helen Kearney, Eilish Byrne, James Dwyer, Geraldine Savage). Mark Rohan took Ireland’s seventh gold medal of the London 2012 Paralympic Games when he won the men’s handbike road race at Brands Hatch. It was a second gold for Rohan whose time of 1 hour 53 minutes 9 seconds saw him beating Switzerland's Tobias Fankhauser by just two seconds. 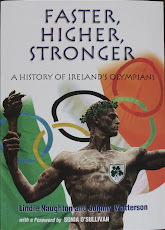 At the athletics track, Catherine O’Neill from New Ross added to the Irish haul when she finished second in the discus hF51/52/53 with a season's best 5.66m. Josie Pearson, Team GB, won the gold with a world record throw of 6.58m. Later, Jason Smyth made it eight gold medals for Ireland when he won the 200m T13 in a new world record of 21.05. Nothing further was added to the Irish haul in the final two days of competition. Irish sprinter Jason Smyth stormed to a new world record of 10.46 when winning the T13 100m at the London Paralympics last night. It was two world records in two days for the City of Derry clubman; a day ealrier he had run a time of 10.54 secs in the qualifying heats, improving on his own world record. Next up for the Smyth is the 200m, in which he is also the defending champion; heats on Rhursday September 6. On a memorable night for the Irish, Michael McKillop was also in recording breaking form when he won the 800m (T37) in a stunning new time of 1.57.22. McKillop, a member of the St Malachy's club in Belfats, bided his time when Australia’s Brad Scott took the early leader and then took over as the pair appreached the bell for the second and final lap. At the swimming pool, Wexford’s Darragh McDonald powered his way to gold in the 400m freestyle final. The 18-year-old McDonald shaved a massive 7 seconds off his PB clocking a winning time of 4:55.56. The Gorey swimmer is a member of his local Asgard swimming club.